Must change route to work. 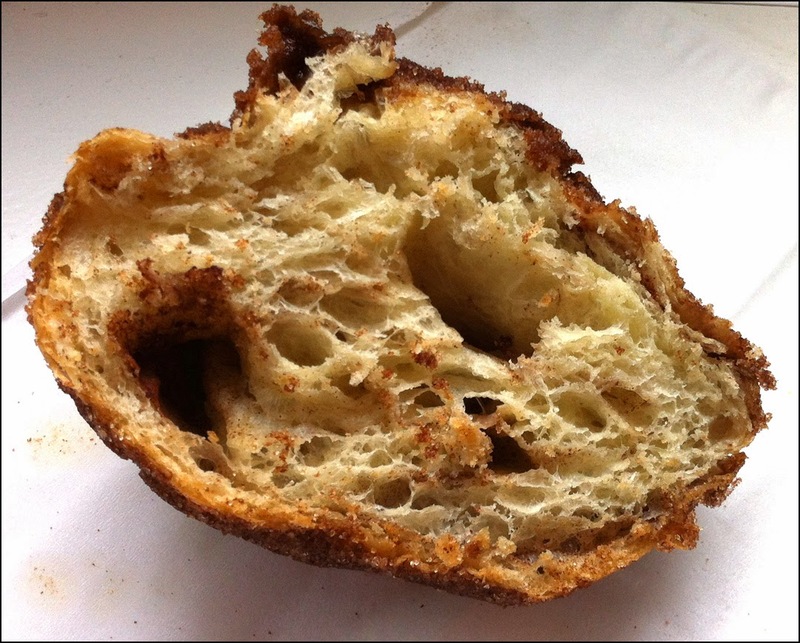 PureBread has a devoted following in Whistler and among farmer’s market attendees in the city. Based on rave reviews, I was very eager to try the new location near Victory Square. From the outside, it looks like your average non descript Gastown café. However when you step in and walk up to the pastry counter, it’s simple mesmerizing. A bounty of sweet and savoury pastries is displayed causing most customers I observed to get a deer in the headlights look. I had to do two walkabouts before I felt confident to order. I definitely had a case of F.O.M.O. 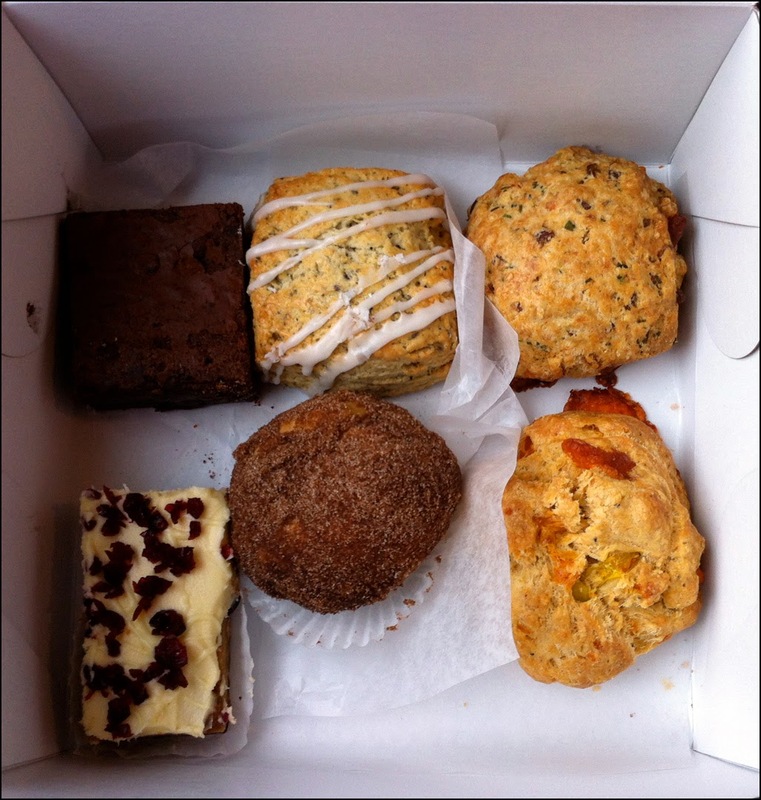 I originally intended to just grab one pastry but ended up with a box of six. Let this be a lesson to aspiring marketers on how important a display can be in promoting your product and getting people to buy more. Suffice it to say I did try all six pastries with the help of my colleagues. I was everybody’s favourite co-worker that day. Also, not all the items have interior shots because it was devoured before a photo could be taken. 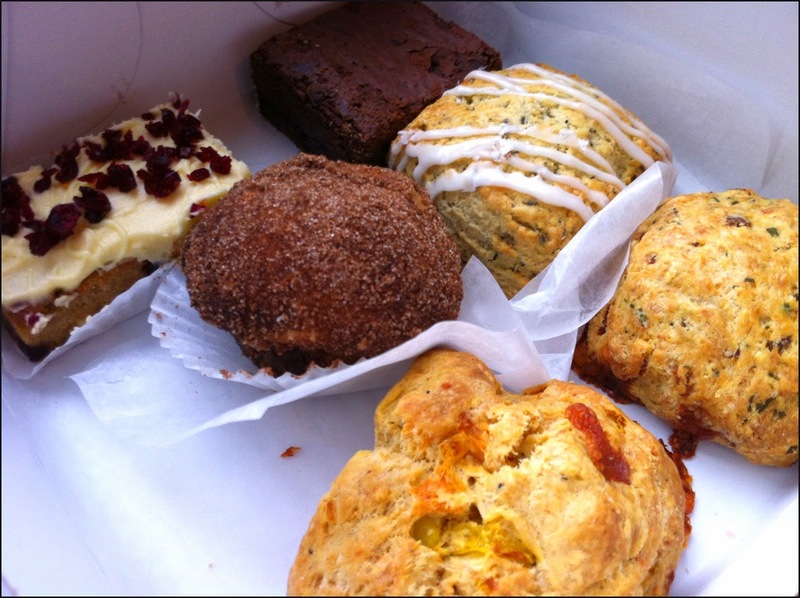 Bottom Right – Cheddar Jalapeño Scone. The brownie was had very thin crumbly top layer and then after that it was all fudge-y goodness. This was a delicious treat that had some nice little touches that helped make the brownie so good. There are small chunks of chocolate to up the chocolate quotient. In the top layer, there was some salt to enhance the overall flavour. This was a very decadent and enjoyable. When I spotted the Cranberry Cream Bar, I immediately thought of Starbucks’ Cranberry Bliss Bar. In fact so did my colleagues as we tasted it. It’s similar, with Purebread adding more chunks of ginger into their version. Unfortunately, I’m not a fan of ginger except for in Gingerbread so I did not like this bake good as much. The Earl Grey Lavender Scone had an aromatic sweetness to it. The scone had a nice texture without being to dry. With each bite, the lavender flavour was front and centre, with the Earl Grey taste profile emerging towards the end. My favourite part was the sweet icing that had a slight citrus tang to help provide a nice contrast. The Morning Glory is for the donut lover and is slightly reminiscent of those mini cake donuts from the P.N.E. It’s a yeast donut dusted with a sugar cinnamon concoction. The inside was soft with more hints of cinnamon and a faint orange after taste. I thought it had a tad too much of the sugar cinnamon coating so it was too sweet for me. 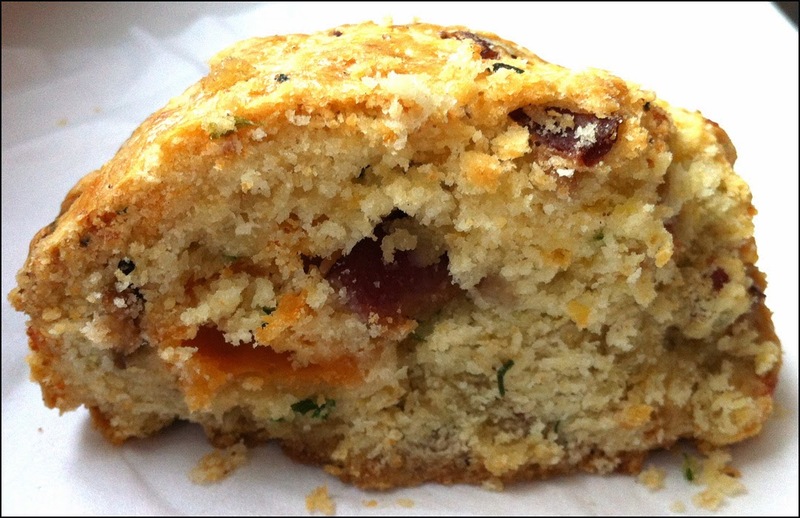 The Bacon Chive Scone is a solid savoury breakfast item. 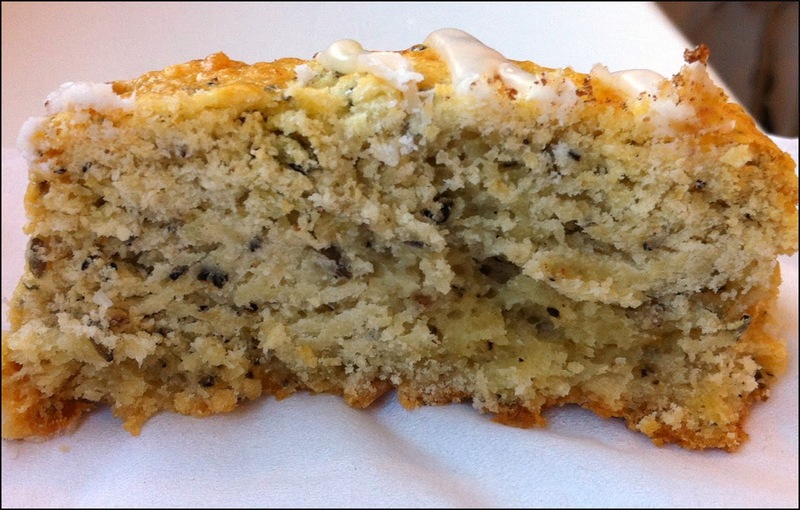 It had a similar texture to the Earl Grey Lavender Scone. The chives made this scone very fragrant. The bacon was salty and smoky. I enjoyed this. 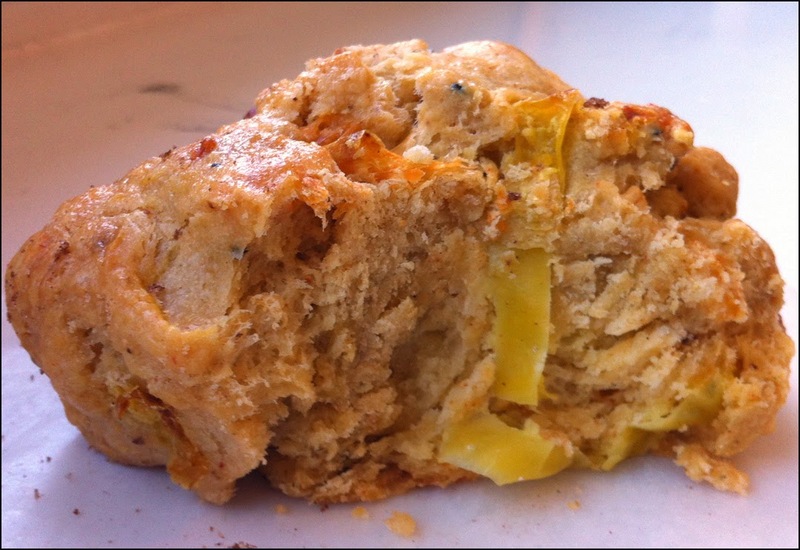 The Cheddar Jalapeño scone was actually spicy from both the Jalapeño peppers and chilli powder in the scone. As a result I only had a few bites but I really liked this scone. In addition there was another flavour that was present in the scone that made this item more complex. I couldn’t exactly put my finger on what it was but it reminded of taco seasoning. If I could eat spicy without consequences I would order this scone above all others. I managed to make it a few days before stepping into Purebread again and stuck to my goal of just buying one item. My office mates were very disappointed. This time I just picked up a Mushroom Gruyere Tart and this was my favourite item thus far from Purebread. The pastry was buttery and flaky. The basil, Gruyere cheese and mushrooms was a nice combination. 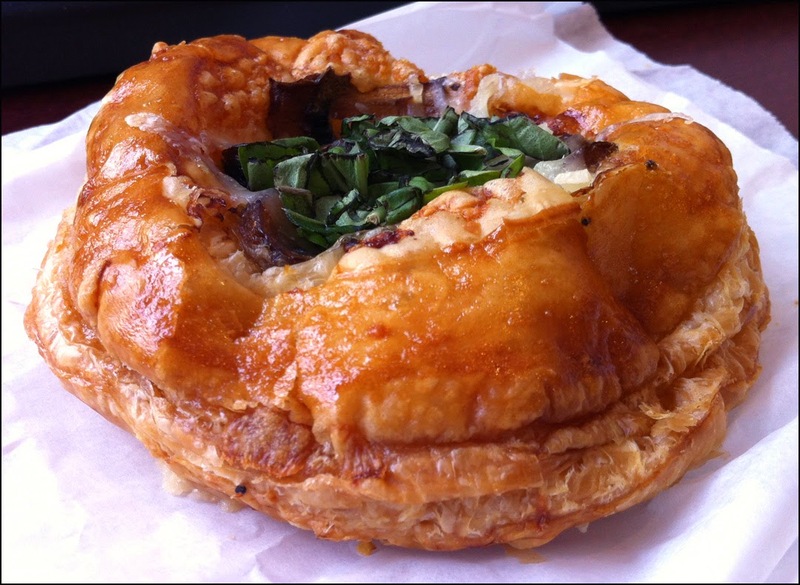 The mushroom were especially flavourful providing the tart with an extra punch of umami. This tart was amazing. 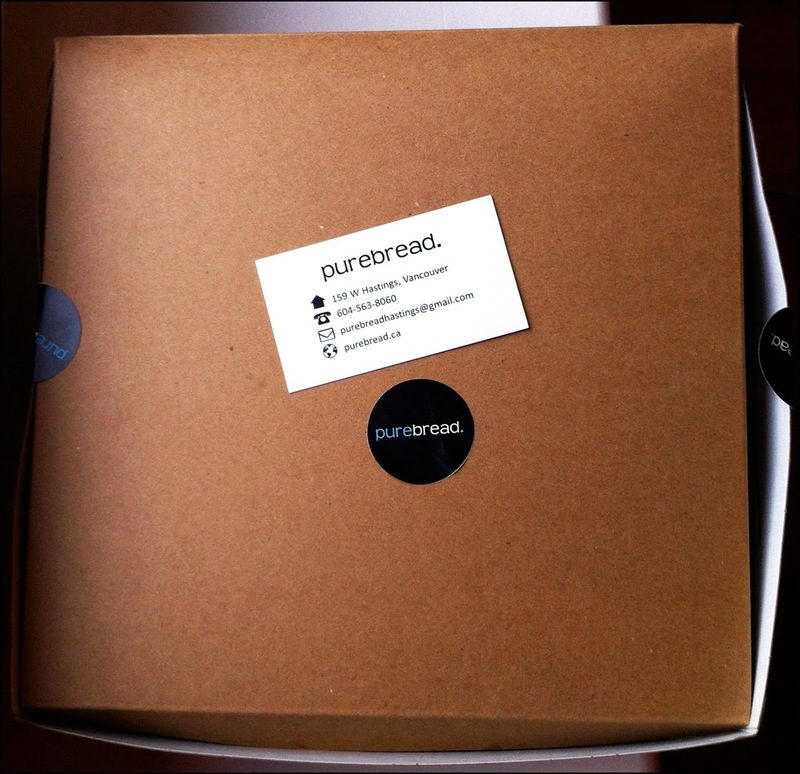 Due to personal preference, I didn’t like all the items I got at Purebread but I’ve understand why so many love this place. This bakery puts little details like salt in the brownie and a citrus note in its icing, which elevates their goods from ordinary to fantastic. Consider me a new fan.